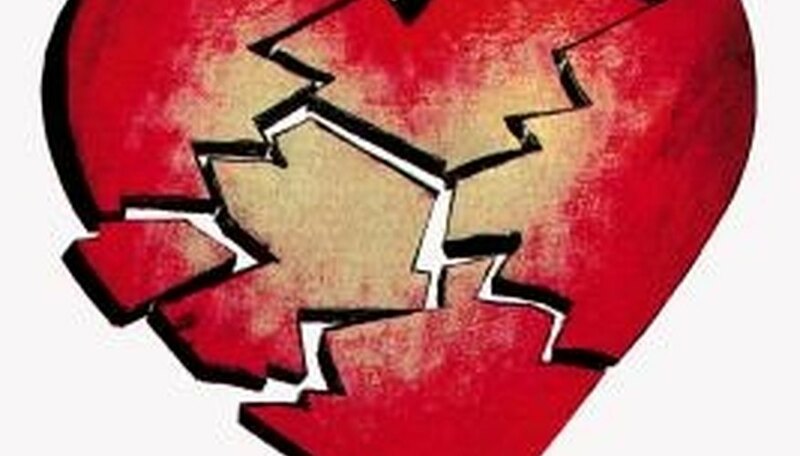 Many people feel heartbroken when their relationship ends, whether they initiated the breakup or not. Some may even have a hard time leaving the house after a breakup. While breaking up with your significant other is difficult, you need to learn the different ways to cope with this event to move on with your life. Getting over a breakup takes time. Do not feel ashamed about expressing your emotions. Whether you feel sad, angry, scared or confused, it is important to let these feelings out instead of ignoring them. Keeping your emotions bottled up can only make things worse. Talk to a trusted family member or friend about your feelings. Find someone who is willing to listen to you and not pass judgment. If the pain becomes too much to handle, call a friend or family member to talk. She may console you by reminding you that it takes time for the pain to go away. Do not forget about your good qualities. While you may feel you caused your breakup to happen, it is important to remember your good qualities instead of concentrating on your weaknesses. Think about your strong points and write them down in a notebook. Instead of sitting in your room and feeling sorry for yourself, stay busy with different activities. Play sports with your friends or go for a walk with your dog. Try a new hobby, such as painting or yoga. If you keep yourself occupied with different activities, you can keep your off of the breakup. Do not rely on food, alcohol or drugs to help you with your pain. While using food, alcohol or drugs may help you feel better at first, it can turn into unhealthy and destructive behaviors very quickly. Treat yourself to the things you enjoy in life. Take a long, hot bath, get a pedicure, go for a jog or read a good book. Also remember to eat healthily, exercise and get plenty of rest. Taking proper care of your body and mind can relax you and make you feel better about yourself. If you can't get over your feelings of depression, talk to a counselor. A trained professional can help you cope with your feelings in a healthy way and offer advice about how to move on in your life. Also consider joining a support group, where you can feel comfortable talking to others who are in the same situation. Katya Gordeeva began writing professionally in 2009. She has had several news and feature articles published in "The Chronicle," "Northwest Indiana Times" and "Gary 411" newspapers. Gordeeva is pursuing a Bachelor of Arts in public relations from Purdue University Calumet. Gordeeva, Katya. "Ways to Cope with Breakups." Dating Tips - Match.com, https://datingtips.match.com/ways-cope-breakups-8382812.html. Accessed 21 April 2019.